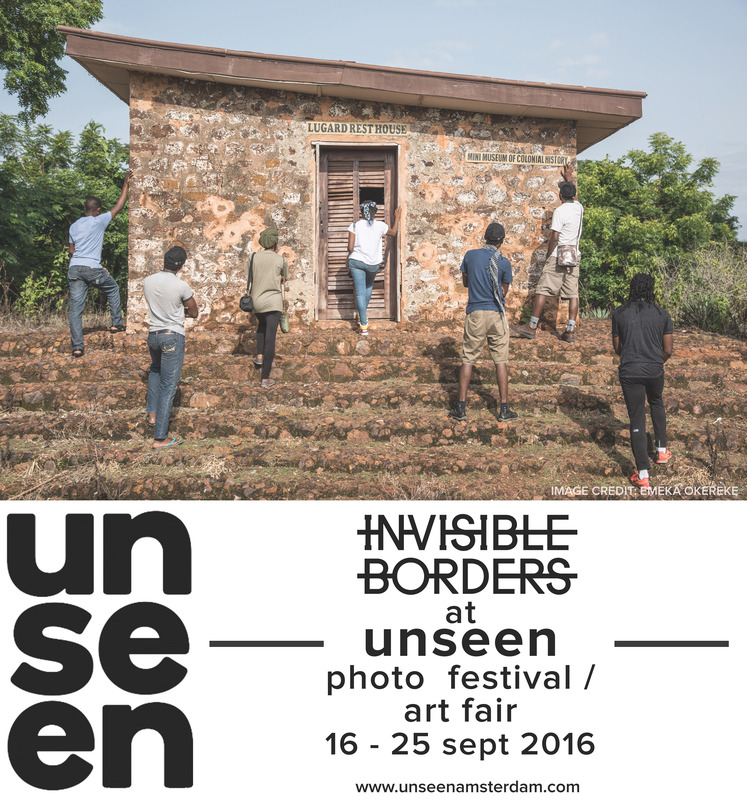 If you are in Amsterdam during 16-25 September 2016, drop by the Unseen Photo Festival and Art Fair an international photography fair and festival based in Amsterdam bringing together leading figures within the Arts and Culture industry as well as encouraging the exchange of artistic expression, dialogue and ideas. In addition to the installation, Invisible Borders Founder and Artistic Director Emeka Okereke will be participating in the round table discussion ‘Platforms In Africa’, exploring the birth of the various independent contemporary art platforms throughout Africa, that have emerged in the recent years. Be sure to check out our space at the Unseen Photo Fair! For more information visit: https://www.unseenamsterdam.com/.